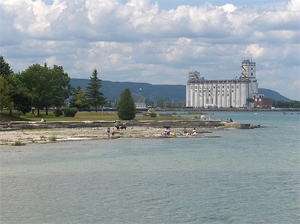 One of the most beautiful waterfront areas in Collingwood and a favourite place for fishing. The Pier is a favourite swimming spot for locals. Rocky shoreline with several flat shale areas safe for young children. Sunset is a large park with outstanding views of Collingwood and playground, picnic and shaded areas, large walking and bike trail and snack bar. Sunset Park in Collingwood is one of the best places to windsurf in Ontario. 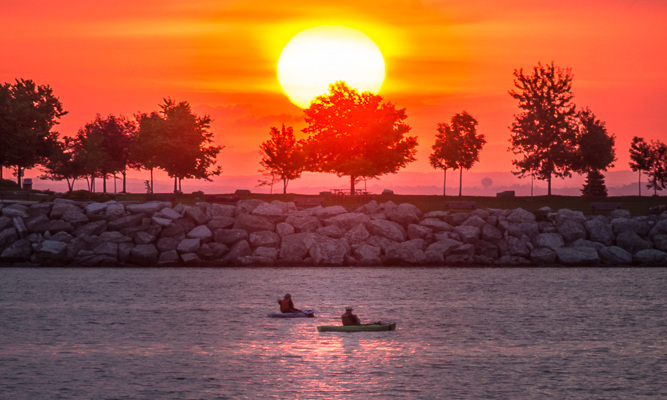 An iconic waterfront location in Collingwood, Ontario, Sunset Point Park offers fresh air, Nottawasaga Bay breezes, and absolute beauty from all angles. During your next visit to Sunset Point Park, you’ll notice vast greenspace, an enviro-park, volleyball courts, access to waterfront trails, a canteen area, washroom facilities, and more. 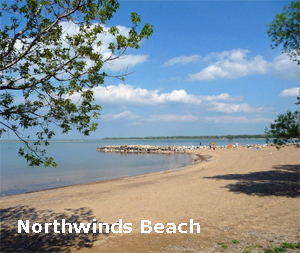 Northwinds Beach is located along Highway #26 in Craigleith, across the road from the historic Craigleith Heritage Depot and Visitor Centre. This is a sandy beach with washroom facilities and very popular with locals. Free Spirit Tours offers kayak rentals from their kiosk at Northwinds Beach. They also offer a 2 hour kayak lesson and tour and a 4-5hour kayak tour to the wreck of the Mary Ward. Blue Surf is a new watersport retail store located across from Northwinds Beach and offers rentals of Stand Up Paddle Boards (SUP) and lessons. 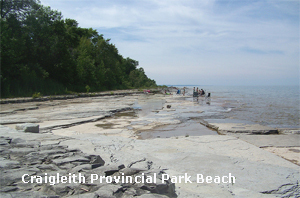 The Craigleith Provincial Park has a shale beach that is also popular for fishing. The Georgian Bay shoreline at Craigleith Provincial Park offers some great fossil specimens for tracing. This is the only Provincial Park in the region offering camping, with 350 serviced sites. Delphi Point is just past Wards Road on Highway 26. The beach is a flat rock shale beach, with beautiful views backwards to the Mountain. 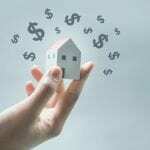 Access to Bayview Park is via Hwy. #26 east of Thornbury, to Elgin Street, to Bay Street. Peasmarsh Nature Reserve and Beach has a wetland with natural stream trout fishing at the mouth of Indian Brook and both sandy and stony beaches. 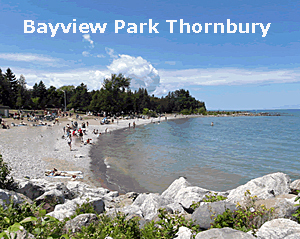 Little River Beach Park is a Blue Flag Beach near the Thornbury Harbour. The Beach is a mix of rock pebble and sand and runs adjacent to the Thornbury Pier. 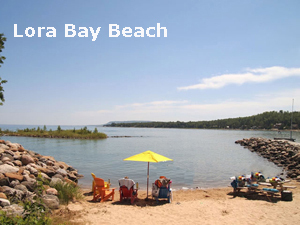 Lora Bay Beach is located just past the roundabout at the Lora Bay Golf Course Clubhouse on Lora Bay Drive just west of Thornbury. This beach is located within a cove that provides great protection from Georgian Bay. The beach has plenty of greenspace as well as a sand beach. Christie Beach offers one of the best sand beaches on this part of Georgian Bay and is located at the end of Christie Beach Road, off Highway 26 west of Thornbury. Memorial Park has over 400 metres of sandy shoreline, picnic shelter, snack bar, mini golf, playground, change rooms and camping. 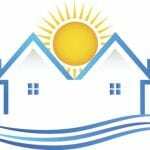 Wasaga Beach is a Blue Flag Beach and the longest freshwater beach in the world with 14 kms. of sandy, safe shoreline and outstanding sunsets. 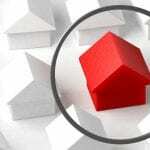 There are several access points to the beach with changing and washroom facilities. Area One is the most popular with tourists for events, shops and restaurants. Area Six is a great Family Beach with children’s playgrounds and picnic areas.